John Seaborn Edwards of Bremen passed away Thursday, October 4, 2018. He was born in Cedartown, December 1, 1964, son of Joan Garner Edwards and the late John Richard Edwards. 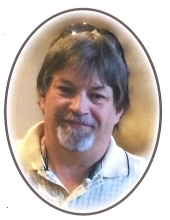 John was a member of Bremen First Baptist Church and was employed by Rockmart Water Department. Survivors include his wife, Sharon Davis Edwards of Bremen; two sons, Logan Edwards and Alex Edwards, both of Bremen; his mother, Joan Garner Edwards of Buchanan; a sister, Neva and Gary Ayer of Adairsville and a brother, Steve and Robbie Edwards of Buchanan. Services will be Sunday, October 7 at 2:00 PM from the chapel of Hightower Funeral Home with Brother Herman Parker and Chief Keith Pesnell officiating. The following gentlemen will serve as pallbearers; D. C. Patel, Keith Pesnell, David Edwards, Bradley Feirn, Steve Hopper, Gavin Nichols, Torrey King and Dale Steele. The Coffee Club from the People Pleaser will serve as honorary pallbearers. Interment will follow in Edwards Cemetery in Buchanan. In lieu of flowers, donations may be made to Bremen First Baptist Church Building Fund. To plant a tree in memory of John Seaborn Edwards, please visit our Tribute Store. "Email Address" would like to share the life celebration of John Seaborn Edwards. Click on the "link" to go to share a favorite memory or leave a condolence message for the family.